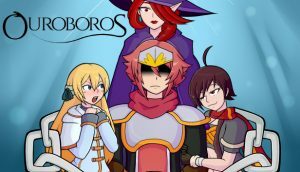 Ouroboros presents a bright, cheerful world in which something is horrifyingly wrong. The hero has a princess to save and a quest set before him, but there are unsettling signs that all this has happened before. As you play the game, you’ll come to realize that the dungeons and monsters are meaningless distractions from the task of uncovering the truth.